London, NYC, and Milan have had their first shot at Fashion Week 2012, but now the French are stepping up to the plate to show the rest of the world how it’s really done. Starting tomorrow, Tuesday Feb. 28, designers and models will take to the catwalks in the city of lights for Paris’s Ready to Wear Fashion Week 2012. The show will feature some of the biggest names in the world of fashion design including Christian Dior, Jean Paul Gaultier, Stella McCartney, Yves Saint Laurent, Chanel and Luis Vuitton. 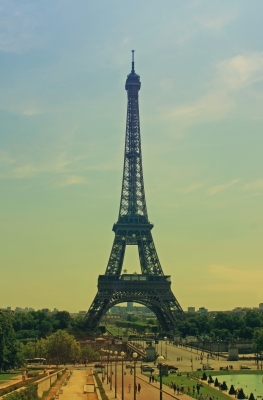 For more information on Paris Fashion Week, visit http://www.modeaparis.com/en, the event’s official website. Or keep your eyes on our twitter page, @ContempoSpace, for updates, photos and more. This entry was posted in Fashion and tagged chanel, Christian Dior, Luis Vuitton, paris fashion week, yves saint laurent. Bookmark the permalink.